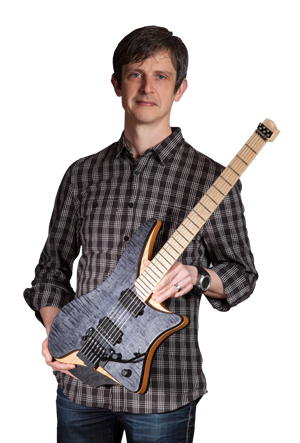 The Lace Alumitone™ pickups, like the X-Bar, which we use extensively, is based on a non-conventional technology (which we will not go into here) that provides noise- and hum-free high definition full range sound in a beautiful and lightweight package. 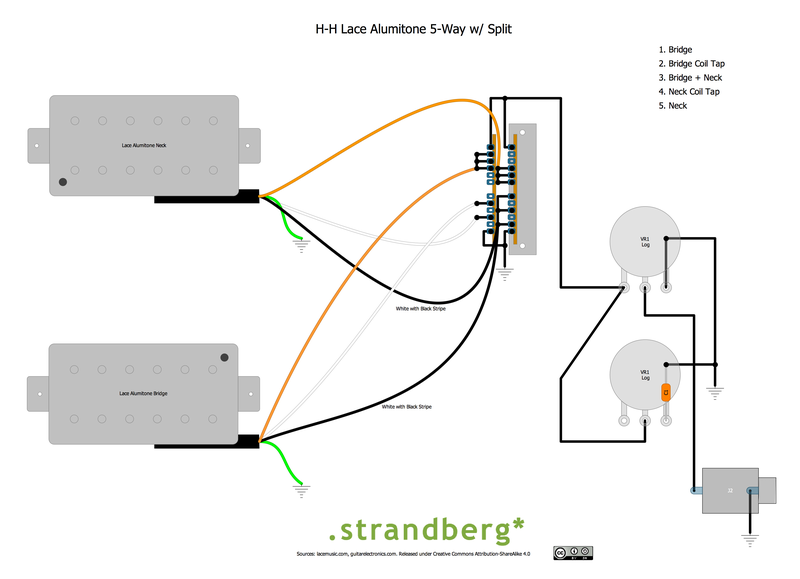 They don’t consist of two separate hum canceling bobbins like a humbucker, so when wiring them, there are less options. 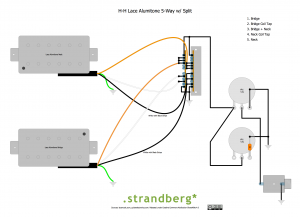 The option that they do provide is a “split” which is more similar to a coil tap, but it is again not a conventional coil tap because it does its magic without a dramatic loss in signal. But it changes the voicing of the pickup in a very nice way.